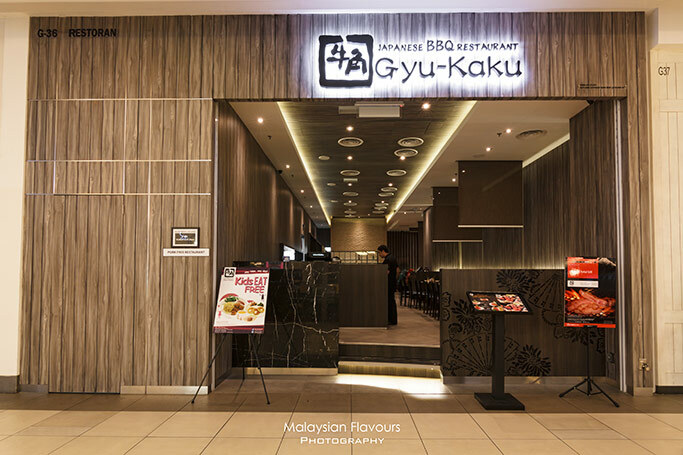 Gyu-Kaku Japanese BBQ came into Malaysia in the year of 2012, having their first outlet inside Isetan Eat Paradise, One Utama Shopping Mall. Well hidden compared to other restaurants in the same area such as Menya Musashi and Tonkatsu by Ma Maison, but good food is always worth to be discovered regardless of its location, and spread by word of mouth. 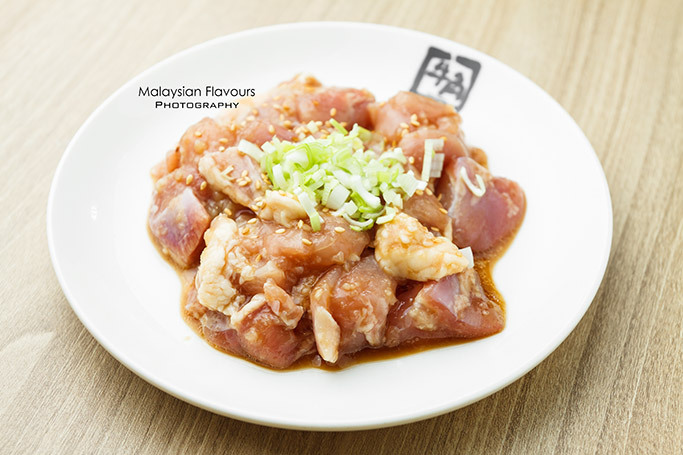 This Japanese joint soon sucessfully opens the 2nd outlet in Publika, Solaris Dutamas and this year, 3rd outlet in Tropicana City Mall. Gyu-Kaku (pronounced as Gew-Kah-Koo) means “Horn of the Bull” in Japanese, is a BBQ restaurant specializes in authentic Japanese Yakiniku or Japanese barbeque. 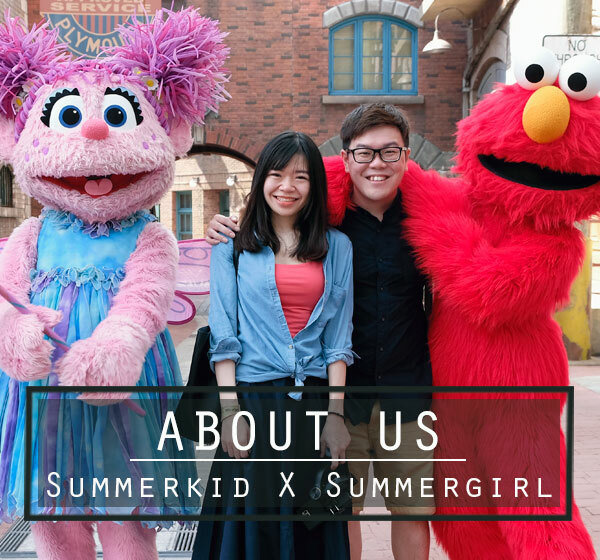 It started in the year of 1996, growing swiftly across the world with more than 1000 outlets currently, leaving footsteps in Japen, Hong Kong, Taiwan, Philippines, Thailand, Singapore, Jakarta, Bali, California, Vancouver, Hawaii,and Malaysia. 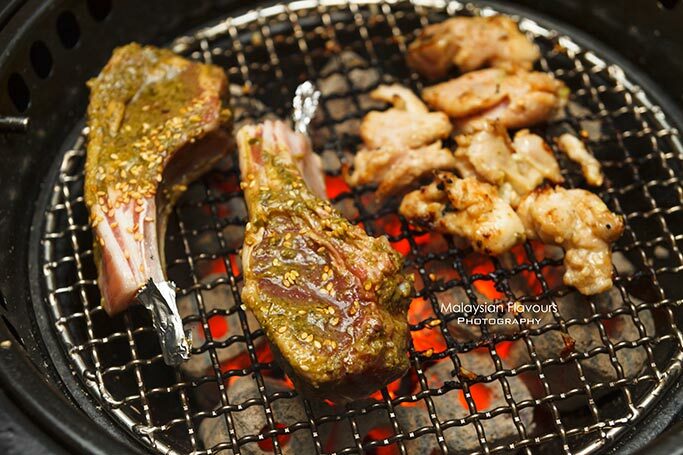 The restaurant provides dining experience which is common in Japan, where customers share and cook their choice of premium meats, seafood, vegetables over a flaming charcoal grill, together with sips of Japanese Sake, Shochu, beers. Apart from grilled food, appetizer such as salad, gyoza, chicken karaage as well as individual meal like ramen, fried rice, tofu chige soup widely spread across Gyu-Kaku’s menu too. We paid a visit to their outlet in Tropicana City Mall last week. 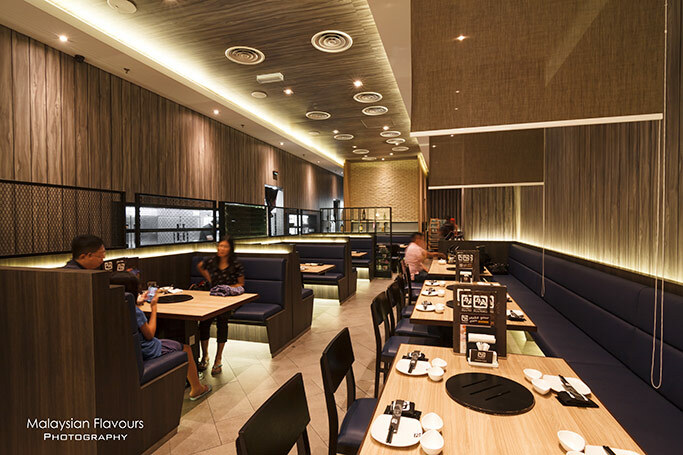 Located at Ground Floor, next to Three Little Pigs & The Big Bad Wolf, Gyu-Kaku houses a spacious corner, cozy as a dining place for friends and family dinner after long day of work or shopping. 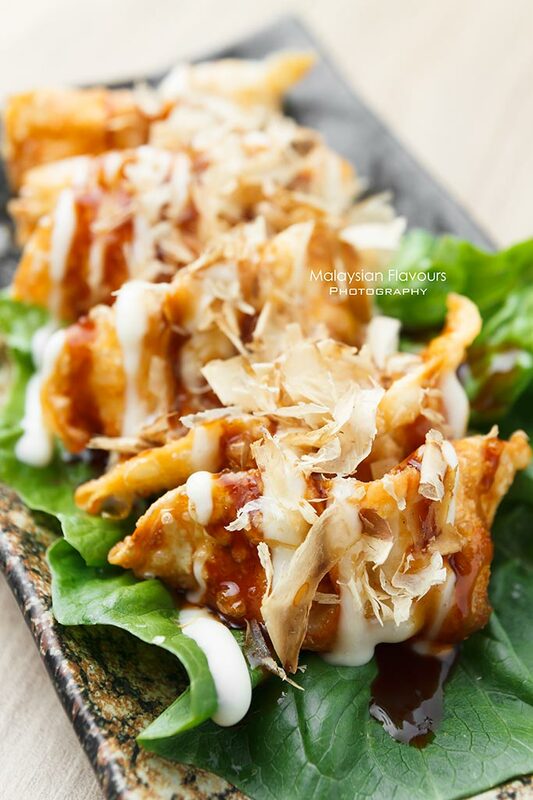 Fried Shrimp Gyoza is One of the highly recommended new starters in Gyu-Kaku, stuffing chewy shrimp filling within dumpling skin and deep fried to crispy golden brown, drizzled with Okonomiyaki sauce and mayonnaise. 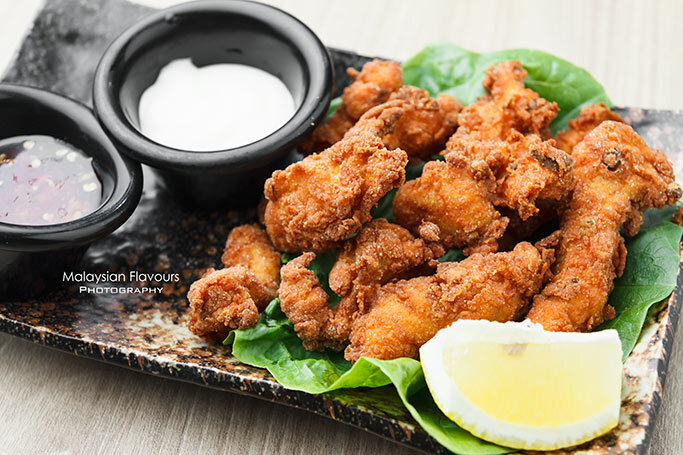 Chicken Karaage isn’t as good, but still decent for its flavourful, meaty munch coated with light crispiness. Served with mayonaise and spicy sweet chilli sauce. 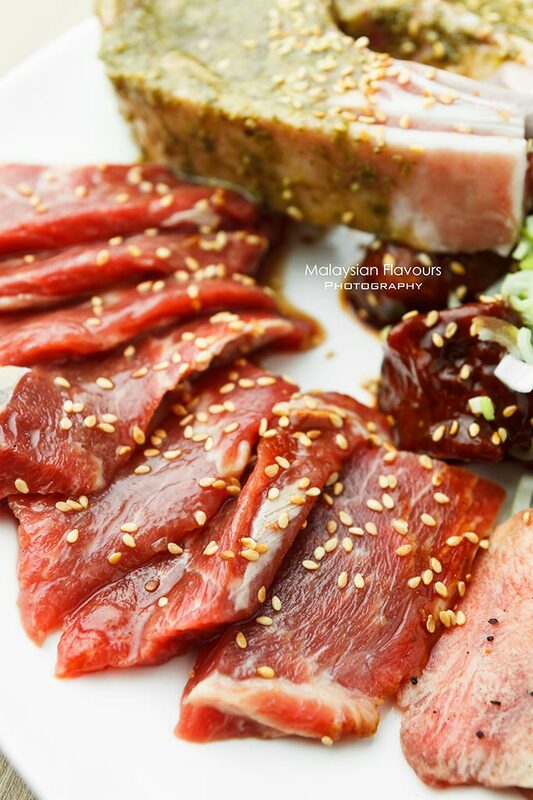 Gyu-Kaku is prides for their Horenso Salad, and we have to agree with that. 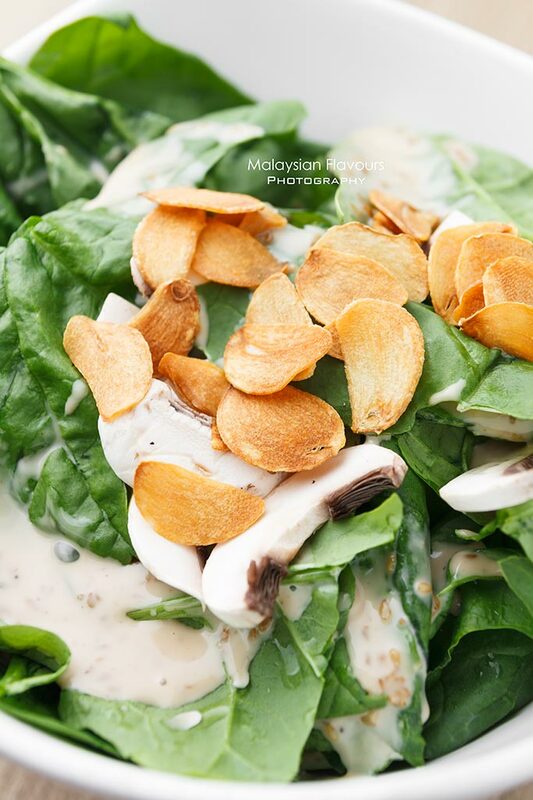 For RM8.90, you are served with splendid bowl of English spinach tossed in Japanese goma sesame dressing, garnished with crispy fried garlic flakes. 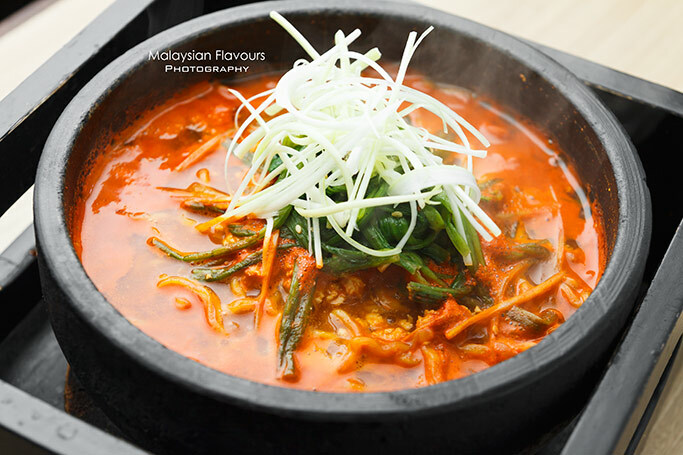 Minimal trace of unpleasant vegetables flavours that always keeps non-vege lovers away, just addictive fresh, juiciness that make you tuck in one after another leaf. 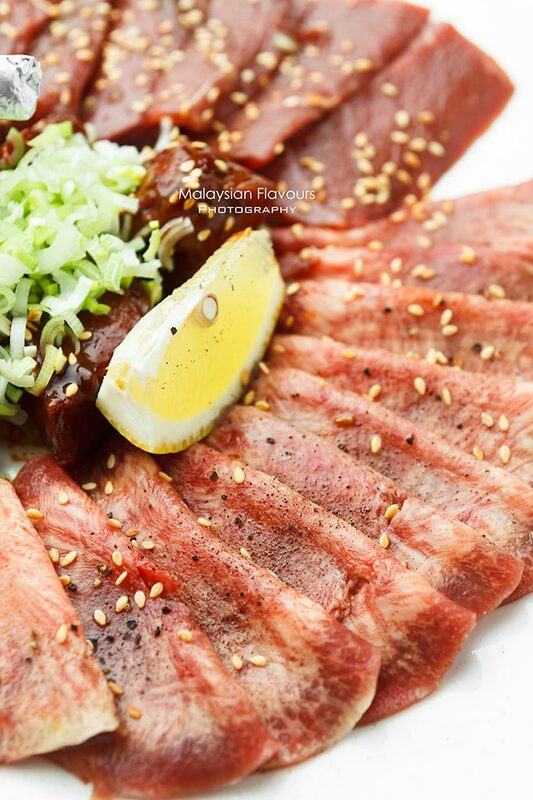 Wide selections of quality beefs steal the limelight in Gyu-Kaku, ranging from beef fillet, Harami brisket, beef tongue, Karubi, rump cap, and Tsubo Zuke Karubi to special menu of Wagyu brisket, Wagyu rump cap, wagyu tenderloin, all come complete in this restaurant. 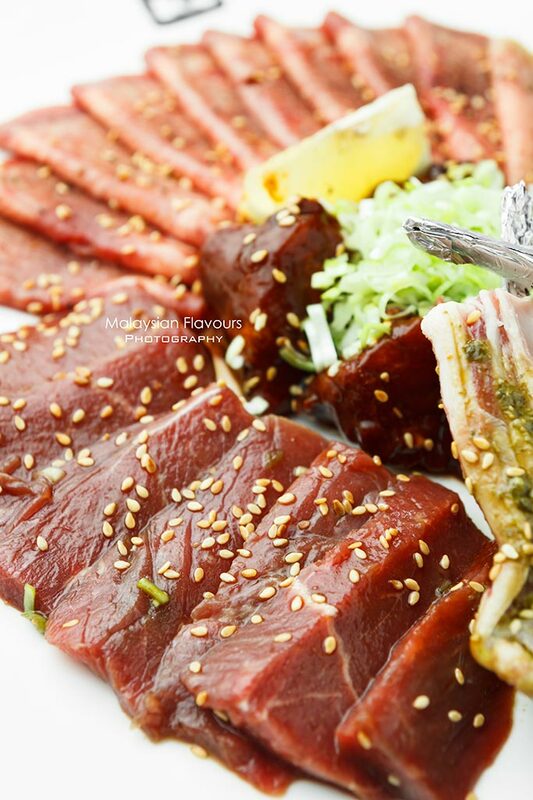 Feel free to pick your choice of meat to BBQ, and then marinate with Gyu-Kaku Speciality Marinades of rock salt, miso, spicy miso, miso/shio with leeks, Tare and Shio. Then, put your meat onto charcoal grill for moments of sizzling and crackling- 30 to 60 seconds for sliced beef, 3 to 4 minutes for seafood in foil, 2 to 3 minutes for all other items. Violaa! Enjoy your freshly grilled meat right off the grill. 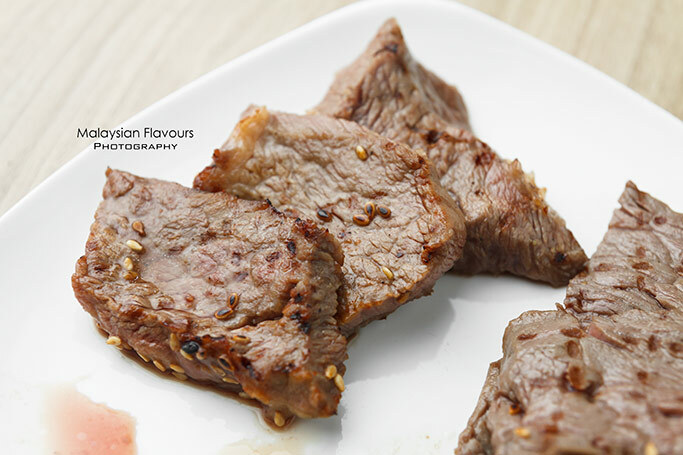 Our rump cap and karubi, done medium rare, tenderly soft with well-locked juiciness. 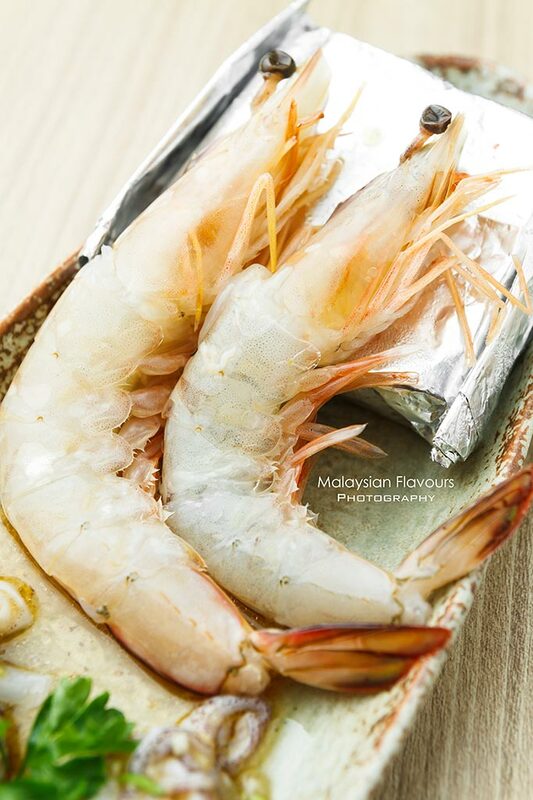 In case you aren’t beef lover, sea water prawn(RM20.90), whole squid grill (RM14.90), Norwegian salmon foil in Shio/Miso (RM17.90), US scallop foil in garlic/black pepper (RM25.90), Oyster foil (RM15.90), Ocean Seafood Platter (RM79.90)…. 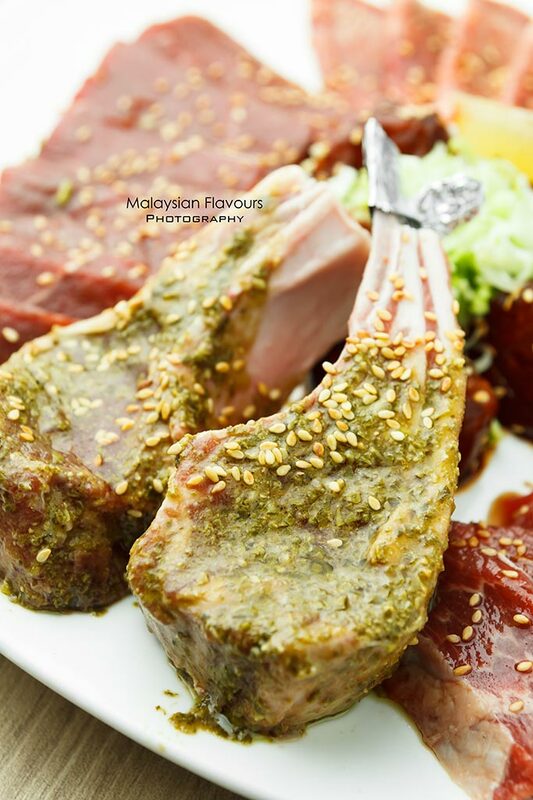 ……..Lamb neck fillet, lamb chop, chicken thigh and chicken fillet in different marination is available too. 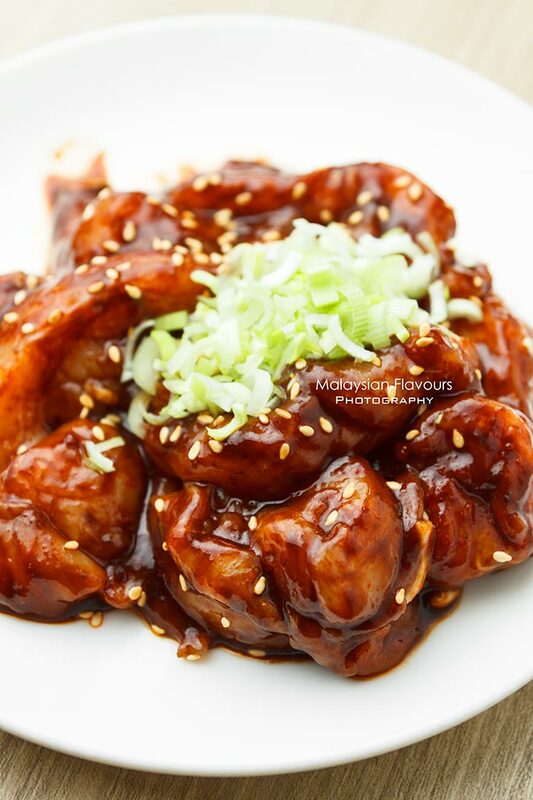 We especially love the chicken fillet marinated in spicy miso sauce, grilled to slightly burnt at the edges, enhanced with savoury, earthy flavours of miso and a light hint of spiciness. 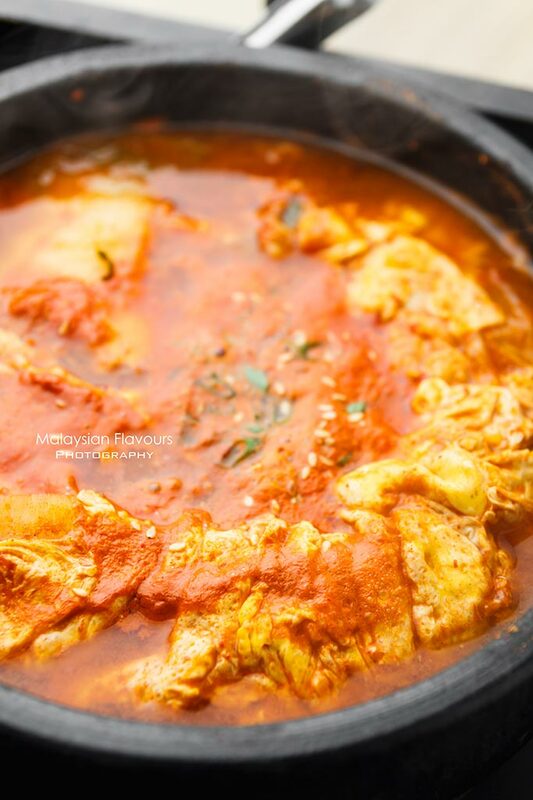 Korean-inspired Tofu Chige Soup richly packed with sweet and savoury sensation, spicy aftertaste; brimming with chunks of soft tofu and egg soak up with goodness of the broth. 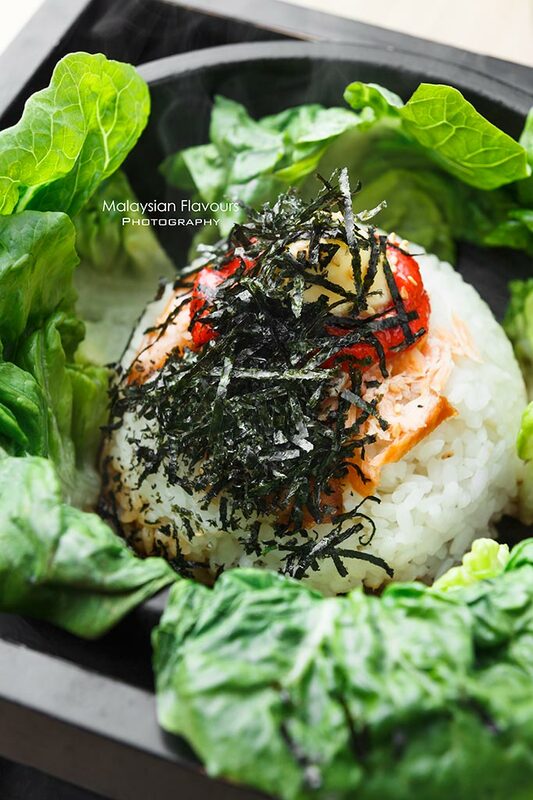 Hearty portion of rice served in hot pot, tossed all ingredients together and discover different bites of textures and flavours from firm salmon bits, popping cod roe, greens, nutty sesame seeds and briny dry seaweed. Gyu-Kaku’s version of Tantan ramen, having springy ramen immerse in thick, rich broth, looks fiery hot but actually mild, more pronounced in sweetness. Flavours touch up with minced meat and spinach. Jalan Dutamas 1, Kuala Lumpur.